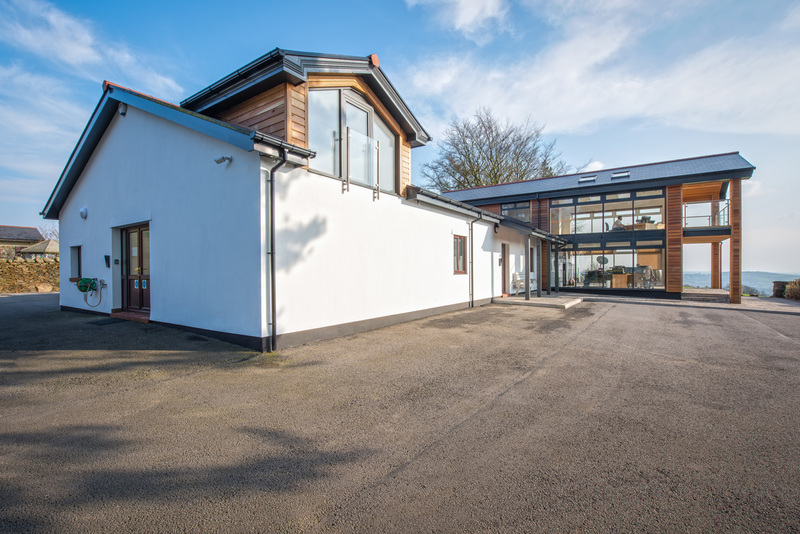 If you want an inspirational work environment then you need an inspirational office, and that is what Director Simon Moon of CDS Security Systems commissioned us to build for his market-leading operation. 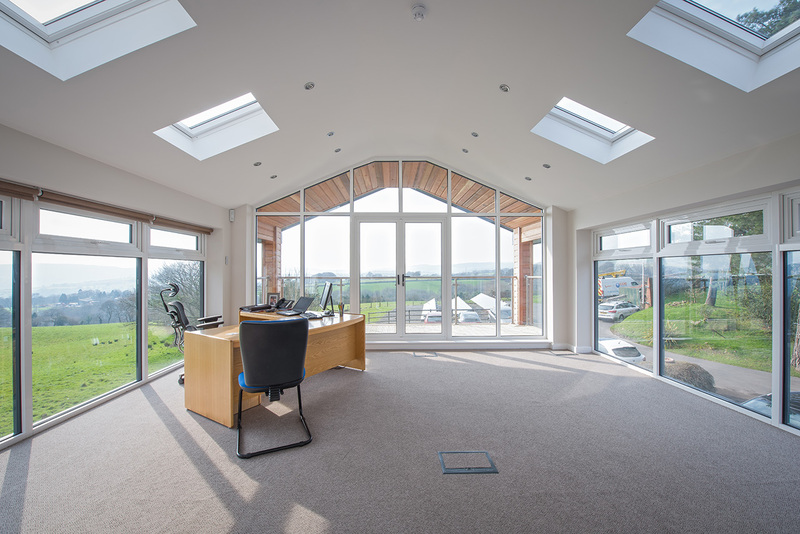 We are delighted with this office development that combines aesthetic appeal, the highest quality materials and latest technology. From the solar-powered Velux windows to the cedar cladding, glass balustrade and stone patio, the vision integrates high-end contemporary style with the natural, green surroundings of the property. 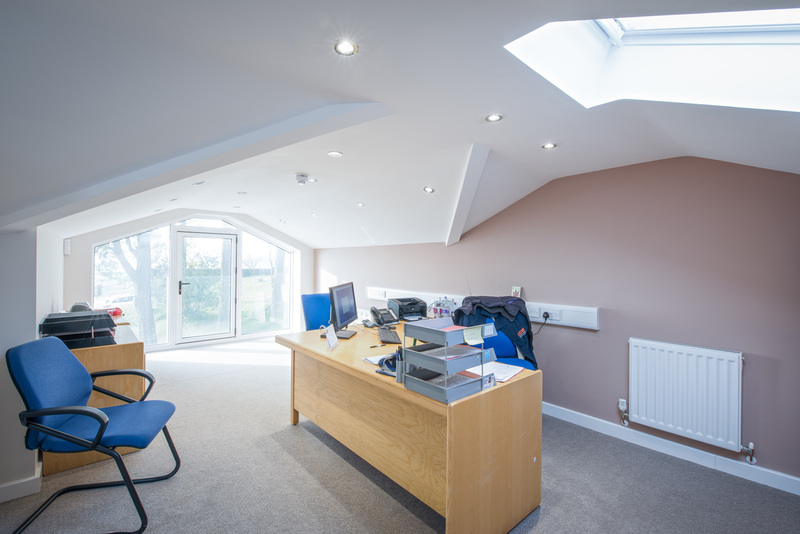 While Excel were undertaking the build of our new sun-room we realised the capabilities of the company and asked Russell if he would be interested in pricing for a much larger construction build with our new two-storey office extension. Not only did they come back with a much more competitive price but they also helped us out with the relocation of some of our office staff to allow the build to commence. They then continued to work closely with the remaining staff on site to ensure they were allowed to continue with their working day safely and without too much disruption. Russell and his team arranged, with precision timing, the delivery of materials to coincide with our working schedule to ensure there was minimal disruption. With the two relatively large projects being carried out simultaneously, financing them was going to become challenging, but again Russell was able to offer us interest-free staged payments which I believe is the first time this has been offered to us by any builder. Both projects have been completed on time and within budgets thanks to Excel Home Design, Russell and his team. Simon Moon. Director. CDS Security Systems. Click to find out more about developing or extending part of your property.